Over at DVM360 there's a post in the veterinary economics section that illuminates a billing system designed to abet fraud. Veterinarians are no more honest (or less honest) than car mechanics, and they are certainly not more or less honest that human doctors who are nailed all the time for kickbacks, upcoding, double billing, and prescribing medically unnecessary tests, surgeries, and pharmaceutical treatments. The US Department of Justice collects two to three billion dollars in fraud fines from doctors and health care providers every year. There are few operational laws that work to rein in fraud in the veterinary care arena. There is no False Claims Act as there is with Medicare, Medicaid and veteran's care, and because dogs and cats are treated as mere property, there are rarely large recoveries for even the most grotesque violations of veterinary ethics and procedure. As with human medicine and the law, veterinary care is largely self-policing, and the veterinary trade tends to look the other way for anything short of an attack on their business model. I have written about this before. For example, in a post from 2008, entitled Is Your Veterinarian Clean? Don't Count On It, I note that vets are upcoding, prescribing medically unnecessary services, collecting kickbacks, and engaged in self-referral all the time. 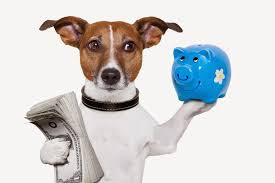 In a post from 2007 entitled Veterinary Trades Say It's Time to Rip-off the Rubes, I note how publications like Veterinary Economics serve as a virtual cheering section for selling medically unnecessary services and bill-padding. Well, it seems there's a veterinary billing program out there called "ProSal" which seems perfectly designed to encourage veterinarians and their staff to maximize billing by encouraging unneeded tests and procedures while making sure that veterinarian time is billed for what otherwise might have been done by a vet tech (or not done at all). Pro-Sal says its billing system is designed to calculate "production" numbers and compensate the vet and his associates base on those billable "production" numbers. If you do this with human health care, you get nailed for fraud. You may lose your medical license, you may end up in jail, you will certainly have to pay up to treble damages which can add up to millions of dollars. Production numbers. You mean KICKBACKS? Yes, these are kickbacks. The "if.... then" statement is the clue. It's just like a timber and steel company telling the engineer "IF you tell the town they need a new bridge, THEN I will give you 10 percent of the materials cost." Do you really think that engineer's advice is not going to be colored by the cash being waved in front of his or her face? I assure you it will be. Kickbacks are pervasive because they work to generate business that might not otherwise occur. Which is not to say all incentives are bad. Incentives might be a logical sales system for tires. But it's not a legal model in the health care arena where the need for the product or services being sold is not transparent, where the pricing is not transparent, and where the doctor's recommendation is supposed to be based solely on what it good and right for the patient, not what makes him or her the most money. ProSal is all about kickbacks abetted by price gouging and the promotion of medically unnecessary goods and services. For example, he question is asked: Do I get production on flea preventives? You mean do you get a KICKBACK? Well, the answer is that you sure as heck should since "There should be at least a 100 percent markup on those products, so there’s certainly room to pay production credit on them." Whatever you want to call it, it's not a veterinarian giving you his or her best judgement for your animal and your pocketbook; it's a vet giving you his or her best judgement on what will improve the bottom line for themselves personally. The folks pushing Pro-Sal want to pre-absolve themselves of the crimes they know they are encouraging. They make sure you understand that they are not at fault for creating a billing-fraud machine. Just ask them! MYTH: PRODUCTION-BASED PAY PROMPTS PADDING OF THE BILL. I've heard people say that ProSal encourages doctors to overcharge, upsell, or "steal" high-dollar cases. Those types of behaviors indicate personality flaws in an individual, and ProSal just makes these flaws more obvious. It's the very rare veterinarian who overcharges or gouges clients—in fact, I have a hard time getting most veterinarians to charge enough for their services. If someone steals, then that's their character flaw and never the large signs pointing out that the vault is open, the getaway car that is gassed up with keys in the ignition, and the helpful note that says Barney Fife is half asleep and getting his hair cut down at Floyd's Barbershop. And never mind that overt rationalizations to steal. Veterinary economics is full of this stuff. Are you a veterinarian with student loans to pay off? Then read this guide on how to upcode by doing unnecessary lab tests for every dog that presents. Its all about "improving your production" we are told. Right. Ka-ching! These three tips alone will bring in another $150,000 a year or more to a vet. Hard to say, but I remember when ABC's 20/20 did a consumers piece on how veterinarians are rip-off factories where dog owners are routinely sold medically unnecessary procedures, some of which are actually bad for the dog. Is another one of those in the offering? I should think so. Who in the veterinary world will speak when TV investigative reporters come knocking? Will there be a parking lot stake out chase as ABC corners a scoundrel vet? There is of course, good news and bad news. What's the good news? The good news is that only about half of all vets use ProSal for billing. What's the bad news? The bad news is that about half of all vets use ProSal for billing.